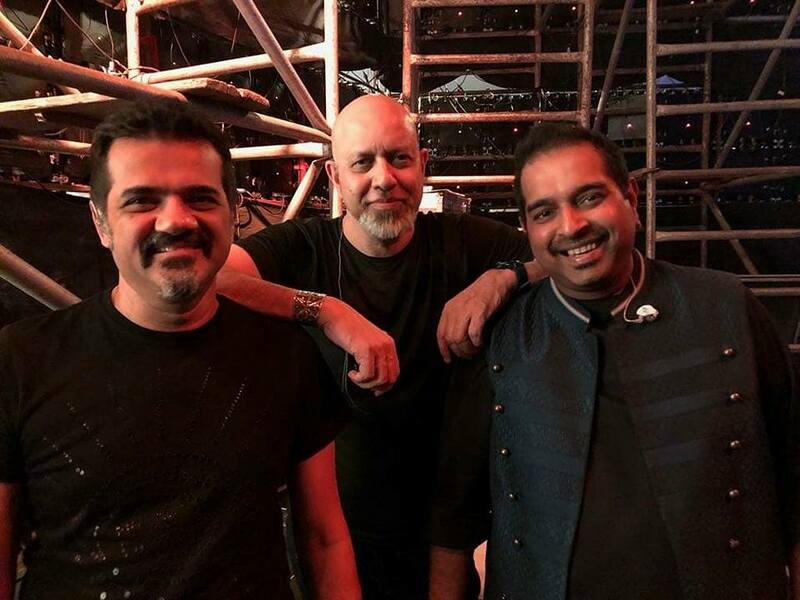 The musical trio, Shankar-Ehsaan-Loy, celebrated their 23nd anniversary together! What a memorable journey they’ve had. Shankar Mahadevan, Ehsaan Noorani, Loy Mendonsa and Farhan Akhtar take-over North America with their #SELFTOUR. The show was completely sold out, and performances stellar! A completely rocking tour with renditions of all their hits. Farhan Live opened the show with high-energy and set the pace for the rest of the night. 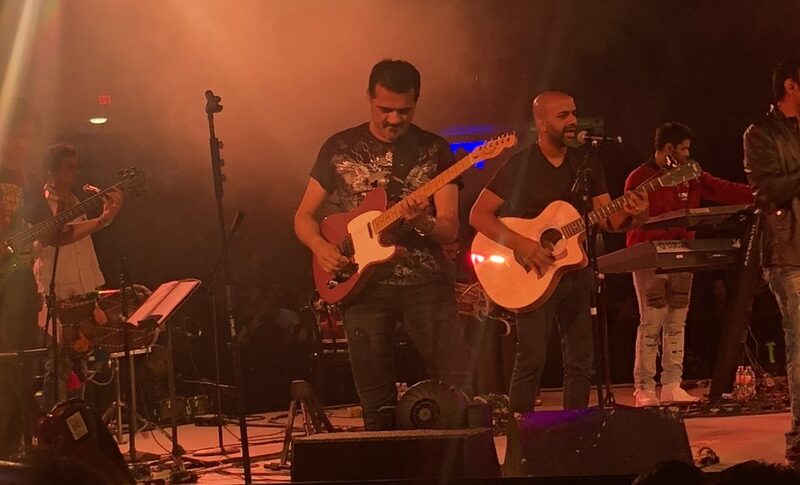 India’s own rock star – Ehsaan Noorani, lead guitarist and composer of SEL is the most calm and grounded person I’ve come across. Read our ‘rocking’ interview with the man himself as we discuss all things music and much more. Ehsaan Noorani: That’s cool. I believe this song should actually be taught in schools. John Lennon is so motivational and inspiring. It is really wonderful meeting you. I’ve watched a lot of interviews of yours and you are just so wise. I’ve been super excited to be able to have this conversation with you. You are one of India’s original rock stars. You pretty much brought the Fender guitar to India. I don’t think a lot of people realize what a huge deal this is. Ehsaan Noorani: I was the first signature artist in India and not many artists have gotten that opportunity. Thank you for that. You put rock music on the map, and the guitar is one of my personal favorite instruments. How did the love affair with music begin for you? Ehsaan Noorani: I started playing music just about when school was getting over, and I remember hanging out with the band at song. I took it through high school, junior college, and then once I got into college I knew that what I was doing – commercial studies – was not my thing. Towards the end of my bachelors of commerce, I was spending more time playing music than attending college. Luckily in India you have a system called, ‘allowed to keep terms,’ where if you fail at one subject you can still be promoted to the next year on the condition that you repeat the exam and pass it. That happened to me every year. At the end of it, you are always in this quandary about what to do with your career. When all else fails, everybody thinks of business management. Just because there is security does not mean it’s the right field. Ehsaan Noorani: Right. He basically said, “you have to grow and do what you have to do.” That was it. I came to America to study music. You attended the guitar institute. From what it seems like, it was a life changing experience. What about it made the biggest impact on your life? Ehsaan Noorani: Actually I’ll tell you what it was. It’s such a wonderful country for music. First thing that happens to you is that you get face-to-face with your mediocrity. There are musicians here that had already been playing for many years. I couldn’t believe how well they played. It makes you realize you are just one of the crowd right now. “Another brick in the wall” (as Pink Floyd would say). Ehsaan Noorani: Yes, really. That actually encourages you to take advantage of what you are there for – which is the education. The education as far as music is concerned is 50% of what you learn from yourself, and 50% of what you learn from people – which commenced while just hanging out and chatting with the other musicians. That was my year. Music for 24 hours a day. It was truly life-changing. I’m curious to know who has been your inspiration. Ehsaan Noorani: I started playing music while I was listening to cassettes and records which my uncle loaned. Stuff like the Ventures – really old school stuff. Some of the Beatles too. Then my sister started listening to rock including Santana, and Deep Purple even pop music like ABBA. When I started listening to Deep Purple, I learned ‘Smoke on the Water,” and I believe it is the single most tune that has made any guitar play want to play rock. Then I met a friend at school who played ‘Here Comes the Sun,” by the Beatles. That song did something to made. I made up my mind that I really want to play guitar. That was it. How did you pick the guitar from all other instruments? Ehsaan Noorani: I started playing it by default. I found a beat-up guitar on top of his cupboard which I got repaired. It really made me feel like a rock star. You are a rock star! You are a huge fan of rock music from Led Zeppelin to Pink Floyd. I’m going to ask you a hard question – what is your favorite guitar solo? Ehsaan Noorani: Yes, all of it. Of course there are too many, but if I had to pick the most perfect I would have to say “Time,” by David Gilmour on Pink Floyd’s Dark Side of the Moon. Definitely also the solo from “Hotel California.” It’s perfect. You hear it and realize that’s how a guitar solo is supposed to be. It’s not just the song, you can actually sing the solo. Yes, completely – a good guitar solo has emotions. Can we expect to see something like “Apostrophe,” and “Faces in the Dark”? Ehsaan Noorani: Loy and I have promised each other that we are going to put a band together and start playing again. Everybody knows Shankar-Ehsaan-Loy. Y’all are synonymous with Bollywood. How did the magic happen? 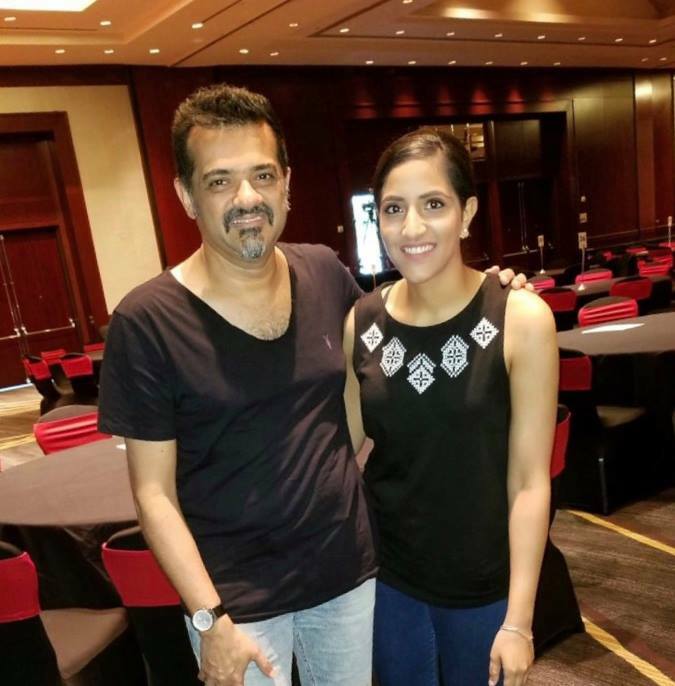 Ehsaan Noorani: Loy moved to Mumbai when his daughter was born. We then started working together, because he had heard a lot of my stuff that I had written with Ranjit Barot. Loy heard our stuff, and thought it was very contemporary and he wanted to become a part of it. Shankar just happened to come on the scene as this fabulous singer – at that time he was trying to make-up his mind as to whether to quit software engineering. We were working together in different permutations and combinations for a lot of commercial work. I got a call from Mukul Anand for his film “Dus,” and I said I want to work with these guys. It was one of those things where the universe conspired for you guys to come together. Ehsaan Noorani: I used to love Bollywood when I was younger but in the 90s and all it went haywire. Pardon me saying so, horrible music took over, until AR Rahman came on the scene. I was not too crazy to be doing Bollywood at that time, and was very happy doing advertising. When Mukul called up, my first reaction was to refuse. The biggest director there is, Mukul Anand, said, ‘just do a song.’ So, we decided to do one song which was a career move. Hindustani is still a very relevant song and so anthemic. “Dil Chahta Hai” is one of those movies whose songs are still on Billboards. It’s been 20 years, and still magical. I realize on tour ya’ll get a chance to revisit the songs, how about otherwise? It was a very iconic, and progressive album. Ehsaan Noorani: It got people who didn’t listen to Bollywood music – to listen to Bollywood. You guys singlehandedly converted the Bollywood music into a multi-genre industry. Was there ever a moment on-stage where you just realized that you’ve – as they say – arrived? Ehsaan Noorani: My go to saying is “you never say you’ve made it or that you are number one. The minute you think that, that just means you are far behind.” You should always let success go to your feet and ground you. That’s the secret behind the three of you, and your success. Ehsaan Noorani: We are celebrating our 23rd year together now, and are planning a big tour for our 25th anniversary together in 2020. I hear there is a spiritual side to you. I love your Ted talk in Bangalore. Your topic was imagination so it was quite inspiring. Ehsaan Noorani: My mind has always been skyward, I suppose that indicates imagination. When you what’s happening with kids, where you are completely fed via visual media I worry that they will lose long term memory. I think for the moment it’s important for people to go back to books, and comics. Was there a piece of advice that has stuck with you? Any advice for someone aspiring to become the next Ehsaan? 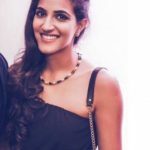 Ehsaan Noorani: I would recommend having a broad base, and deep rooted interest in music.. especially in music that may not be the most popular. The Justin Biebers, and Taylor Swifts of today come from a whole heritage of music. I recommend going back to roots and go back to appreciate the heritage of music. 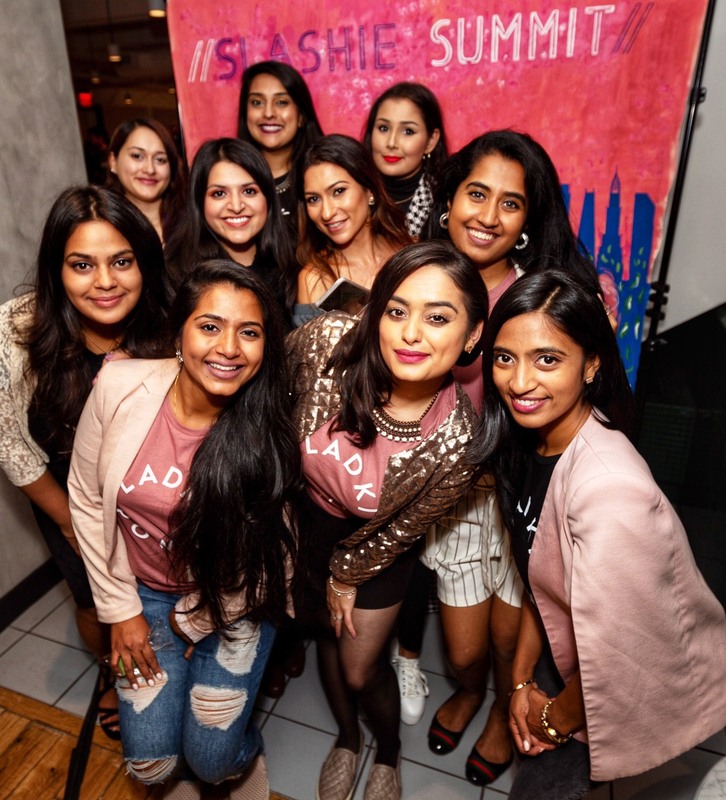 Next articleTo Save South Asian Rights, We Must Vote For Them—Now. An Interview with Indie Rockers The Yellow Diary: A True Representation of East Meets West!